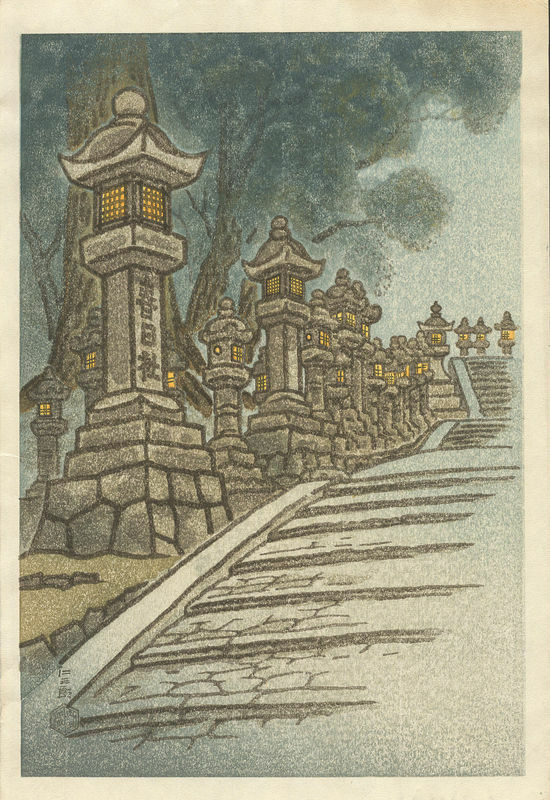 Kotozuka, Eiichi (1906-) "Kasuga Shrine" - Woodblock - Chinese and Japanese woodblock prints for sale, silkscreen, scrolls, watercolor, lithographs. 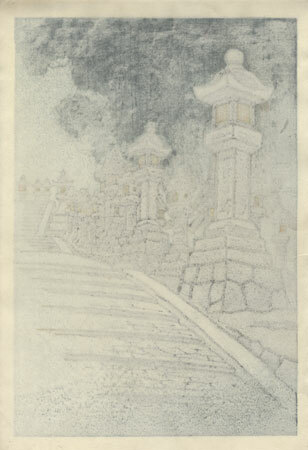 Artwork Details for Kotozuka, Eiichi (1906-) "Kasuga Shrine"
Condition: Basically fine. A small crease from the left margin centre that just enters the image area. A little light toning at the top right corner. Uchida watermark in the bottom margin. Full margins are not shown in the scan. Verso is clean. Notes: Artist seal and publisher seal at the bottom left of image area. Full margins are not shown (too large for my scanner).